ABSTRACT. Approximately 10% of computer science and engineering majors have a disability. Students with disabilities are more likely to drop out of the major than those without disabilities. At the K-12 level, many tools used to teach computing have limited accessibility to students with disabilities. 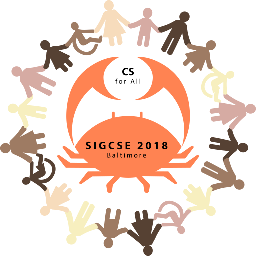 This BOF will bring together individuals who are interested in increasing the representation of students with disabilities in computing and improving their success. Participants will share strategies to help each other do a better job of including these students in our classes and research projects. Resources, including those produced by AccessComputing and AccessCSforAll, will be shared.